30.5.2008 I observed brief opening to southern Italy. Only for about 15 minutes! On Sunday 1.6.2008 FM was opened to France for a few minutes. Very poor conditions this summer!! 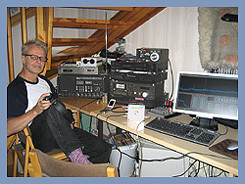 On 7-14.6.2008 we were listening FM in the southest lived island, Utö, for one week. 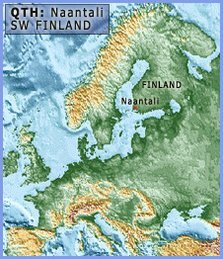 I had FM-DX-pedition with Jukka Soini (from Kurikka, midwest Finland) and Jussi Suokas (from Joensuu, mideast Finland). Nice pedition in excellent QTH. Read more!